A wonderful account of a trip from Maine to Georgia in an old car, complete with break downs, auto camping in the 1920s, and local colour - an attempt to enlighten Europeans as to the charms and romantic side of America seldom seen or written about, according to the Authors. Black and white woodblock illustrations by Jan Gordon and maps showing the route used as endpapers. ‘Written in the form of Claudius' autobiography, this is the first part of Robert Graves' brilliant account of the madness and debauchery of ancient Rome, and stands as one of the most celebrated, gripping historical novels ever produced. 'Still an acknowledged masterpiece and a model for historical fiction ... sympathetic and intensely involving: a great feat of imagination'. – Hilary Mantel, author of Wolf Hall. 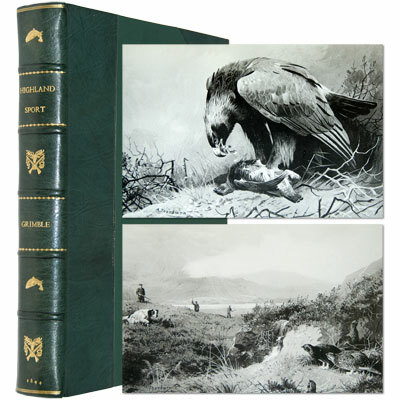 Two magnificently illustrated volumes, of this comprehensive work, with 190 full page engraved plates, large engraved folding Index Map to the Antiquities of Scotland. Shewing the Situation of Every Building Described in this Work, two engraved title pages, and one in text Plan of Druidical Stone. Grose (1731-91), English antiquary draughtsman and lexicographer, initiated the eighteenth-century's most extensive series of published illustrations of ancient monuments. In 1788 he began the first of several tours of Scotland in order to produce The Antiquities of Scotland. It was on the second of these tours, in summer 1789, that he met and immediately formed a friendship with the poet Robert Burns. Burns met him while he was staying with Robert Riddell at the Friar's Carse, collecting material for his Scottish work. Burns suggested to him that he should include Alloway Kirk in his Scottish Antiquities, and Grose agreed on condition that Burns provided a witch tale to go with his drawing. In June 1790, Burns sent Grose a prose tale with a variant in a letter to Grose, following it up with a rhymed version, "Tam o' Shanter" (see Volume II, page 31). These two volumes represent the history of one of the most prestigious yacht clubs in the world, The Royal Yacht Squadron, whose current patron is Queen Elizabeth II and club admiral is Prince Philip. The club’s ensign is the White Ensign of the Royal Navy, and it flies above Cowes Castle, their magnificent clubhouse on the Isle of Wight. Two large octavo volumes, extremely well illustrated, and containing a large amount of biographical material, as well as personal reminiscences and recollections of the great races and yachts of this era. Included are a number of related letters and press cuttings from the former owner Dr. Michael Gilkes. 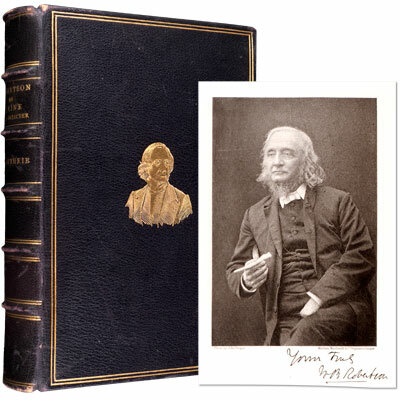 A finely bound copy, illustrated with engraved frontispiece portrait and calotype plate of Trinity Church, Irvine from a photograph. William Bruce Robertson (1820 – 1886), Scottish divine, was born at Greenhill, St. Ninians, Stirling, 24 May, 1820, and was educated at the University of Glasgow and at the Secession Theological Hall, Edinburgh, where he made the acquaintance of Thomas de Quincey, and on his recommendation went to the University of Halle and studied under Friedrich Tholuck. New Worlds to Conquer was Halliburton's third book and contains a knapsack full of that adventurer's gold – dreams brought to reality by the alchemy of his courage and daring. The book details how Halliburton set off for Latin America in search of adventure, and find it he did. He dived to the bottom of the Mayan Well of Death, from which hundreds of skeletons had been dredged, then swam fifty miles down the length of the Panama Canal. Not content, he climbed to the crest of Mexico's lofty Mount Popocatepetl, twice, and roamed over the infamous Devil’s Island. Yet his most amazing adventure occurred when he had himself marooned on the same island which had once held Robinson Crusoe captive.